When it comes to playing games, why should kids have all the fun? Just because you grow older, doesn't mean you have to grow up. As an adult, you can enjoy escaping to paradise with your Margaritaville® Jimmy Buffett Anniversary Edition Key West™ Frozen Concoction Maker® and a youthful attitude that'll make you feel forever young. How low can you go? Find out by turning on some upbeat, island-inspired tunes and playing a classic game of limbo. To make it more challenging, you can play faster songs and speed up the pace. 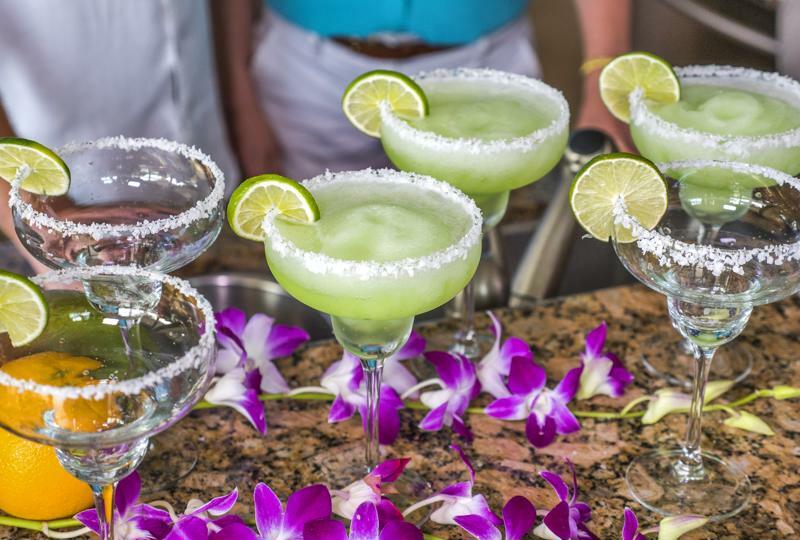 Just make sure you put your frozen concoction down before passing under! Host a loudest shirt contest. Trade the tenpins for some island-inspired coconut bowling. You can play this game outside in your backyard, or in your living room - just make sure you clear out ample space first! Use large cans as the pins and coconut as the bowling balls, and get rolling! You can play in teams or up the ante with a tournament. Your party will be a hole-in-one with this fun game. Set up a 5-6 mini-golf "holes" in your backyard or basement and give them a tiki twist. For example, you could have the course go through your kid's sandbox and inflatable pool for an extra challenge, or have it go under a hammock and around your tiki bar. Use plastic cups for each hole. And if you want to zest things up, use limes instead of golf balls! 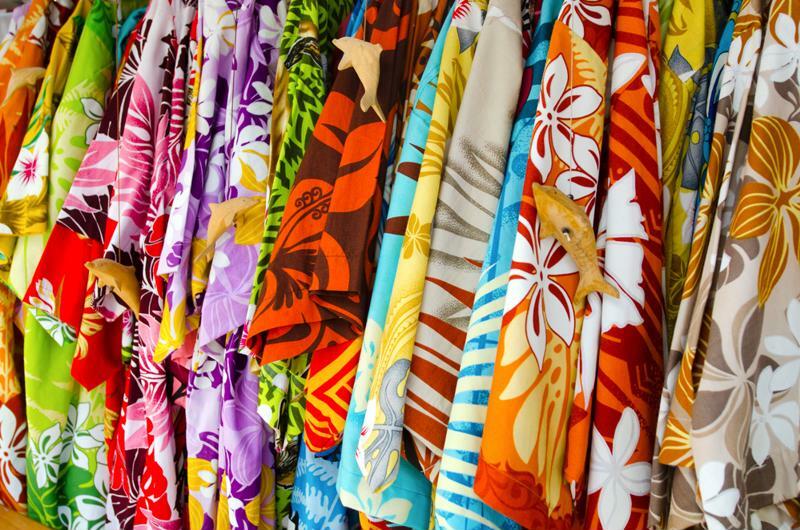 Colorful, bold and unfussy - a tropical shirt is the perfect attire for paradise. The more, the merrier, so have a "loudest shirt contest" at your next get-together. If a shirt has so much going on that it makes you dizzy to look at it, then that's your winner! Head to any beach party, and you'll find a conga line in full swing. You can take the classic conga line to the next level but playing this copycat version. To start, have the person at the front of the line create a dance move. The rest of the line must copy the move. Then, the second person in line creates a new dance move. The line must then do the first person's dance move, followed by the second person's - and so on. If you're stuck, an icy frozen concoction can give you some inspiration! Just because you grow older, doesn't mean you have to grow up! Make like pirates and embark on a treasure hunt with your guests. Ahead of time and out of sight, hide a small item, like a lime or salt shaker. Give each guest a map and clues and a time limit to find the secret treasure! The reward? All the frozen concoctions one can imagine, of course. Put an island twist on this classic vacation game by replacing the balls with small coconuts. Just be careful - if you break your coconut, you're out! You can also play at night by placing tiki torches around the course. This old-school game is making a big comeback! Set up two boards about 15 feet apart, then take turns trying to throw beanbags into the holes. For every bag you get in, take a sip of a frozen concoction!